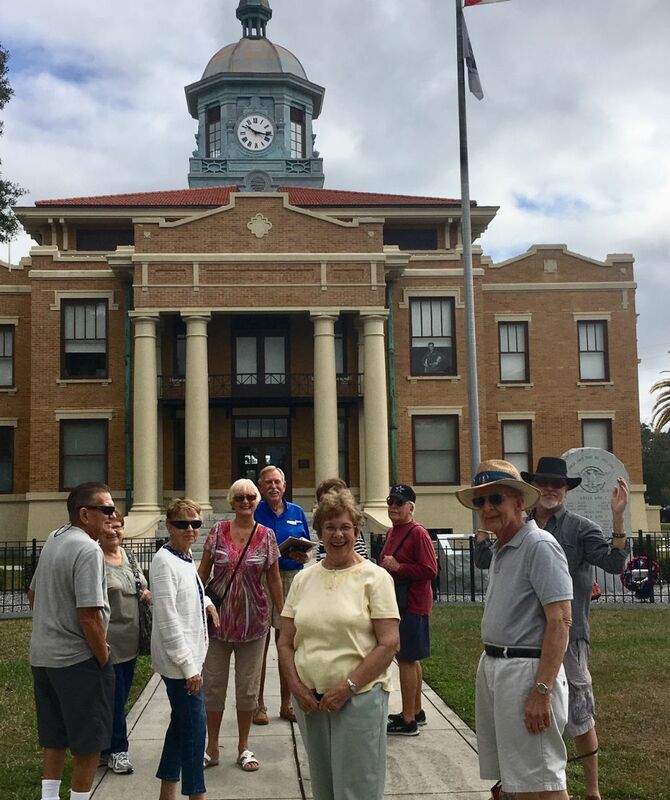 Places of Interest - Citrus County Historical Society, Inc.
Wednesday, April 17 at 9:00 a.m. will be the next Guided Walking Tour of Historic Downtown Inverness! 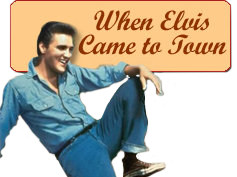 These highly entertaining and educational tours are held the third Wednesday morning of each month and since there has been such enthusiasm for them, we are requiring reservations. Hear stories of early and present-day Inverness as your guide shows you a small town rich with history. Experience the beautiful lakes, parks, and quaint, walkable downtown and its the historic buildings. Even locals will be amazed by what they learn! Preferred limit no more than 15. All proceeds benefit the exhibition, programs, and operations of the Inverness Cultural Heritage Council at the Old Courthouse Heritage Museum. $5.00/per adult, $2.00/per child. For more information and reservations, please contact 352-341-6428. The Old Courthouse Heritage Museum provides great educational opportunities in the community, but we also provide entertainment and fun for residents and visitors alike! 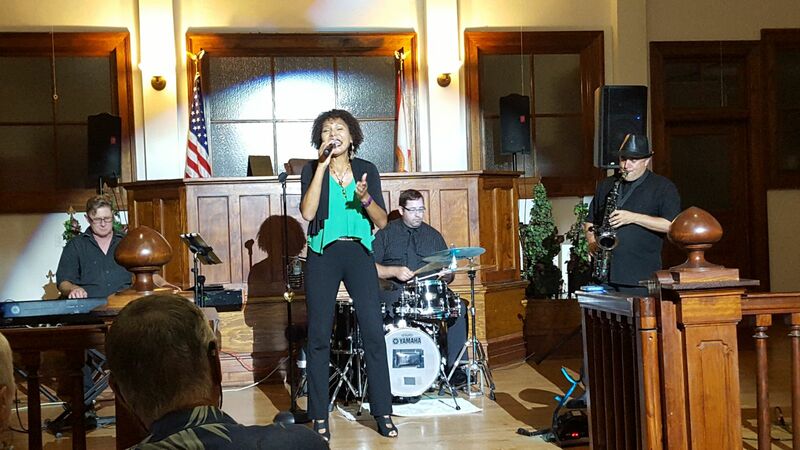 This wonderful monthly concert series helps to fund the Citrus County Historical Society's preservation efforts, exhibit design and fabrication, outreach events, school tours, and more! January's show with guitar virtuoso and cellist team, Richard Smith and Julie Adams, sold out quickly! Be sure to get your seats reserved for the final three shows. Check out our line-up of performers for some of the best Jazz and Acoustic sounds in the county! Tickets and additional information are available at our online shop! This scholarly speaker series is funded by a grant from the Florida Humanities Council. This year, it is all about the manatees! Come and see our newest exhibit in the rotating gallery, Manatee Mania, and enhance your learning by engaging with talented and thought-provoking speakers. 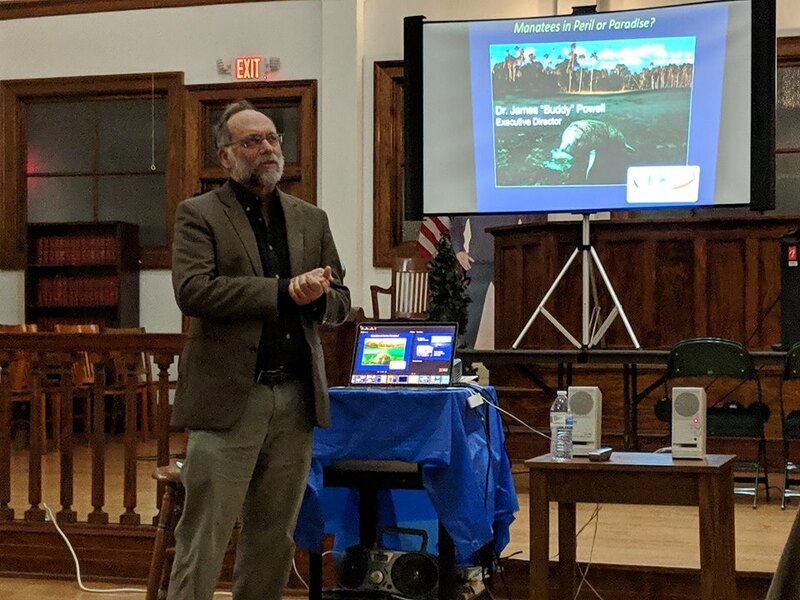 Our January and February programs with Dr. James "Buddy" Powell, Executive Director of Sea to Shore Alliance and lifelong marine mammal researcher, and Dr. Steven Noll, Master Lecturer, author, and history professor at the University of Florida, were a huge success! Please don't miss our last two programs with journalist Cynthia Barnett and Janie Gould. Ms. Barnett joins us March 14th at 7 p.m. to discuss water conservation in Florida. She is the author of three incredible books, Mirage, Rain: A Cultural History, and Blue Revolution. Then on April 4th at 7 p.m. Janie Gould will share tales of Floridian survival during the Great Depression, when even the beloved manatee became a food source for struggling families. Seats are free, but space is limited. Please register online here or call 352-341-6428 for more information. 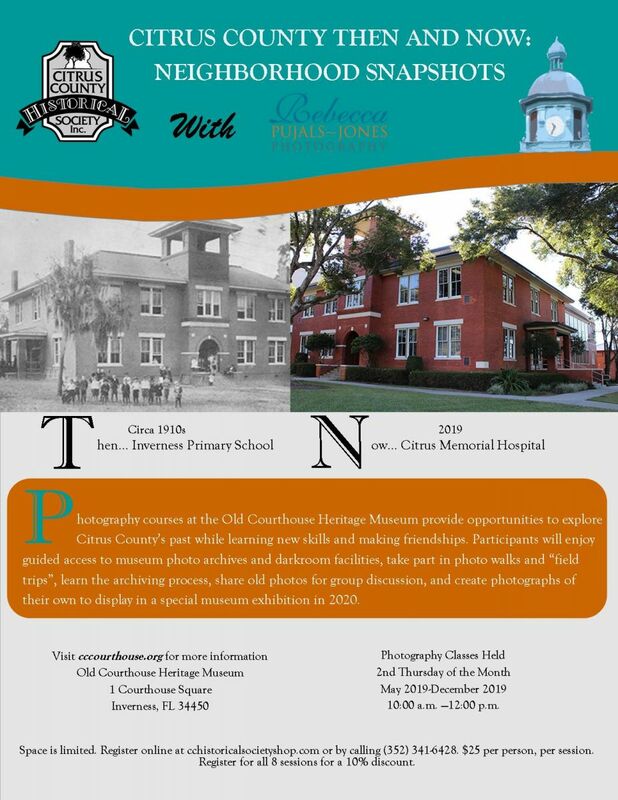 The Citrus County Historical Society and photographer Rebecca Pujals-Jones are proud to present the first Neighborhood Snapshots photography program at the Old Courthouse Heritage Museum. The second Thursday of every month from May 2019-December 2019 is your opportunity to delve in the history of Citrus County while participating in a fun, skill-building photography workshop. Sessions are intended for all skill levels. Particpants must be at least 18 years old. Each two-hour session is $25/person and includes professional instruction, access to Historical Society photo archives and dark room, and supplies for printing. Space is limited to 10 participants per session so please register early-registration by the first of the month is strongly encouraged. Sign-up for all 8 sessions and get a 10% discount on registration fees! Each additional session you attend will provide opportunities to build your photography skills and practice new and old techniques. Activites include sharing old photos for group discussion, digital and dark room photo development/printing, learning preservation and archiving techniques for photographs, go on photo walks and "field trips" throughout the county, and finally, participants will be invited to share their artwork in a new exhibit at the Old Courthouse Heritage Museum in 2020. Register at our online shop or call 352-341-6428. 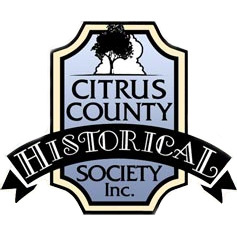 The Citrus County Historical Society is calling on all residents and visitors to Citrus County to bring in their historic photographs for digitization during the program. You keep all your original photos of course! Staff and volunteers at the museum will create a digital copy of your photographs to be added to the historic archives and enjoyed by future generations. 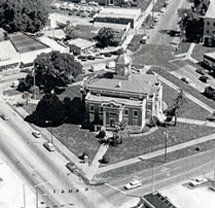 Any photos of Citrus County between 1850-1970 including county buildings, parks, beaches, monuments, landmarks, past events, festivals, parades, farms, factories, people, and places are welcome! If you have any photographs you would like added to the Citrus County Historical Archives to be preserved for future generations please call 352-341-6428 or email Lindsey G. Hinnrichs at lindsey.gilbert@citrusbocc.com.